Jade Clark says England will need to raise their level if they are to stand a chance of winning next year's Netball World Cup. Sky Sports will show every game of the Vitality Netball World Cup 2019 after being confirmed as the host broadcaster for next year's showpiece. The top 16 teams in the world will go head to head over 10 days of thrilling competition in Liverpool with the tournament getting underway on July 12. Coverage across linear, digital and social platforms will continue right through to its dramatic conclusion on July 21 at the Echo Arena, the scene for the Roses' International Series opener against Uganda on Tuesday, which you can see on Sky Sports. 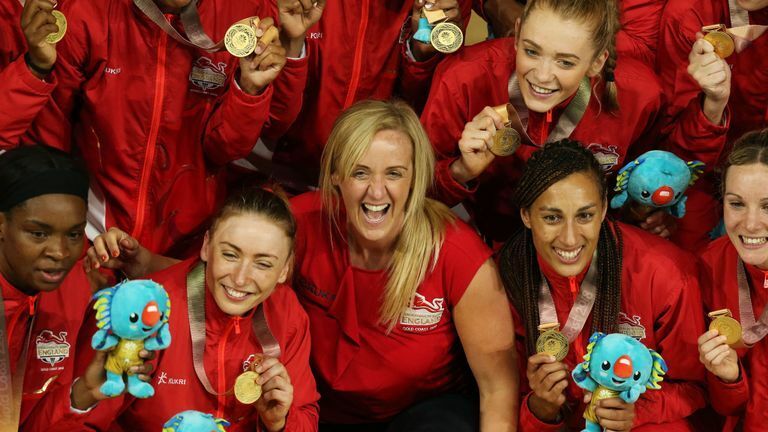 Netball England confirmed on Monday afternoon that Sky Sports and BBC would be the UK's broadcast partners for a tournament that promises to be one of the biggest in the sport's history. England's Commonwealth Games gold medal earlier this year and their rise to second in the world rankings has threatened the world order, while defending World Cup holders Australia are out to claim a remarkable 12th crown. Sky Sports will show every game live on each day of the tournament across its platforms while the BBC will also show every game free-to-air from day four onwards. Sky Sports has broadcast live netball since 2006, including each of the last three World Cups in 2007, 2011 and 2015 and continues Sky's relationship with England Netball that has featured the latest International Series and the hugely successful Quad Series. 2018 saw Sky Sports' viewing figures more than double for the sport and the return of this year's domestic competition comes with the Super 10 on Saturday, January 5, which will kick off an amazing run of live netball that will continue with the Vitality Roses' Quad Series in January, through to the Superleague season and now including the Netball World Cup 2019. "A home Netball World Cup is hugely exciting for netball fans in the UK and we're delighted to be able to bring fans every single minute of the action, on TV and across our social and digital platforms," said Barney Francis, Sky Sports' Managing Director. "Netball has gone from strength to strength over the last decade, with Superleague audiences growing and England's women leading the charge. With a home World Cup to look forward to, we're certain that's set to continue." 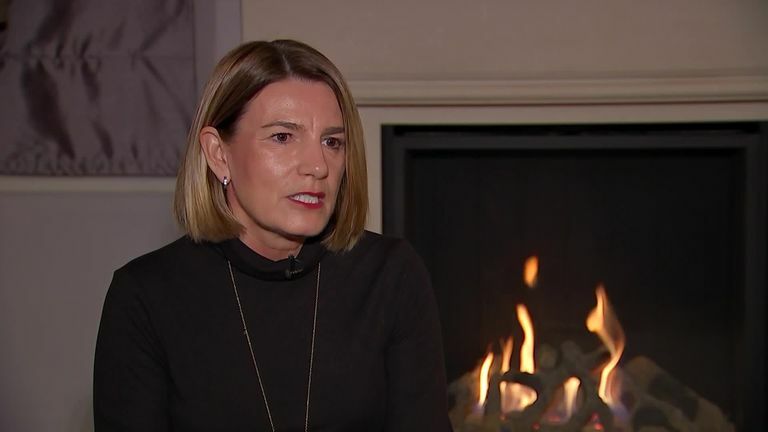 England Netball's Chief Executive Joanna Adams says having every game of next year's World Cup Live on Sky Sports is a dream come true. England claimed their first ever gold medal in the sport, beating Australia with a last-second goal from Helen Housby on the Gold Coast to win the Commonwealth Games, and demand to watch the sport has already seen more than 74,000 tickets already sold. "We are delighted to confirm Sky Sports and BBC as UK broadcast partners for Vitality Netball World Cup 2019, as we build momentum towards the tournament," said Vitality Netball World Cup 2019 Chair, Nicky Dunn OBE. "We are pleased to be working with broadcast partners who are passionate about women's sport and look forward to working together to showcase netball and the Vitality Netball World Cup to new and existing audiences with high-quality and engaging coverage throughout the event." You can watch England on Sky Sports Action with the three-Test Series against Uganda which gets underway on Tuesday at Liverpool's Echo Arena. A huge 2019 will feature another thrilling Vitality Superleague which is just two months away and starts with the Super 10 on Saturday, January 5, live on Sky Sports. You can now receive all the latest Vitality Superleague news and more on your personal devices. The Sky Sports mobile app will keep you up to date with the latest news from your favourite sports, including netball - here's how to receive the alerts you want.